Snuck onto a kitchen island, a hanging bin holds clementines, ready to grab as you run out the door. Conquer that pesky pile of awkward lids by steadying them between a wall and a rod. Hung at kid-height, this entryway solution inhibits floor clutter. Make better use of your shed’s doors by hanging everything from spades to the garden hose. 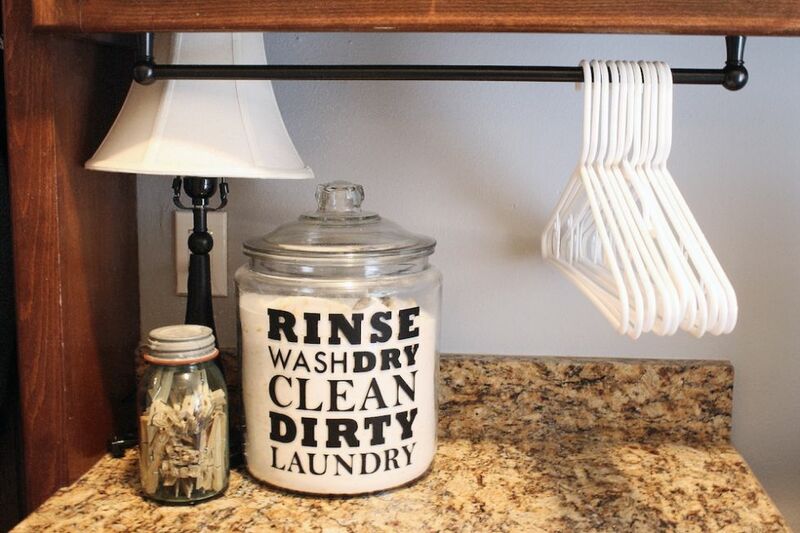 Flipped under a cabinet, a towel bar keeps hangers within easy reach for hang drying clothes coming out of the washer. Outfitted with S-Hooks, the bar becomes a jack-of-all-trades in the kitchen, holding baskets and cooking tools. Hang paper side-by-side so you never have to dig through the Christmas patterns to get to the birthday roll. With a few towel bars and dowels, this crafter can see (and admire!) every shade she owns at once. In an array of bins, markers, brushes, and even a happy little plant all have a home together.